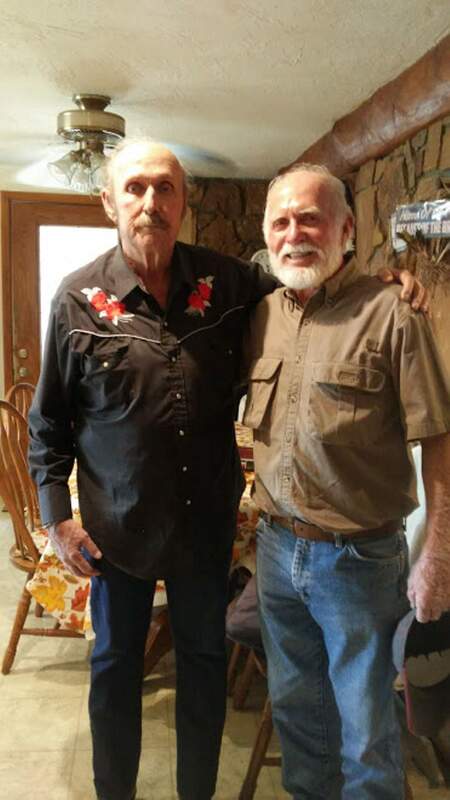 Edward Lee Brown, left, met up with his old buddy, Danny Burgess, from the 101st Airborne 306 Engineers Co. earlier this month at his home near Ignacio. Brown and Burgess renewed an old friendship and plan to meet again. Editor’s note: Edward Lee Brown contacted The Durango Herald eager to convey the joy he experienced when he reunited with his friend and fellow Vietnam veteran Danny Burgess.About a year ago, I was sitting at my table wondering about the friends I made when I was in Vietnam. I wondered if any of them were still alive after this long (from 1970 to 2018). The only one I could really think of was this guy, Danny Burgess, who I really got to know pretty well. The last time I saw him, he was heading home from Vietnam to Florida to help his dad and brother work cranes. But how do you find someone after 48 years when all you have is their name? So, we made a list and I called them up. The first one was a bad number, no longer in use. The second call, a man answered the phone and I asked if he served in Vietnam, and he said yes! I asked if he served with the 101st Airborne and he also said yes! Then I asked if he served with the 306 Engineers Co. and, again, he said yes! I went on to tell him that I was Ed Brown, an old friend of his from the company and he said he remembered me, too. We got to talking about old times and had a great conversation. I gave him my phone number and address, got his address and we have stayed in touch pretty regularly since then. Neither of us has heard from anyone else in our company, besides each other, in 48 years. He called not too long ago and said he and his wife were planning a vacation to Yellowstone Park around the Fourth of July to meet his kids and grandkids. He and his wife were planning to drive back around the second week of July and make a stop to see me. I couldn’t believe it when he pulled into my driveway. We got to visit and introduce our wives, and they even liked each other, too. He seemed to like the stone house that I built with my family. We enjoyed dinner and each other’s company until everyone was yawning, so they headed off to the hotel for the night. We enjoyed a cup of coffee the next morning and he said he would be back to see the sights in the area. We exchanged some trinkets to remember our get-together and they went on their way. It sure was nice to see my friend after 48 years. I feel like only God could have brought us together after all this time and I am thankful for my blessings!